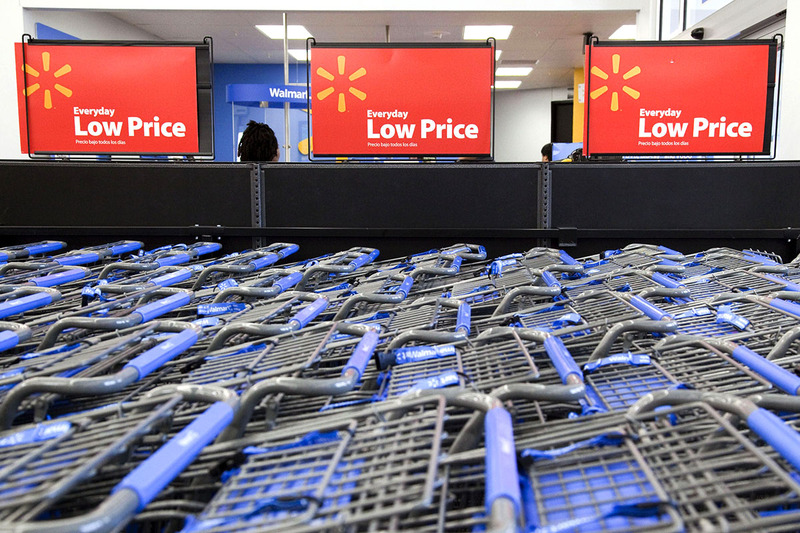 Walmart Ends Price Match in 800 Stores — Is Your Store Affected? In May 2016, Walmart announced it would stop offering its Ad Match program at 500 stores. Then in August, it announced 300 more stores would get the price-matching service nixed. Since Walmart wouldn’t disclose which stores or markets would see the change — which didn’t seem to be immediate — we forgot all about it. That is, until Penny Hoarder readers started sending us notes about price match disappearing from their Walmart locations. We checked in with Walmart this week about the status of the programming change. The bad news is Walmart wouldn’t confirm which locations this change will affect or which stores still have the price match program. Customers have reported blue signs popping up at their local stores stating the date the ad-match policy was or will be discontinued at that location. “Instead, we’re lowering our prices on thousands of items,” the signs state. The good news is Walmart seems committed to lowering prices so you don’t need to scour the weekly circulars so closely. Curious about what’s happening at your favorite Walmart location? If you don’t see the telltale blue signs at the register, Crowson suggests asking a store manager. He said store associates are knowledgeable about the changes to the program as well. Meanwhile, it’s a great time to get to know the Savings Catcher app, which compares prices and automatically gives you a credit if Walmart spots a lower price for anything you bought. The Savings Catcher app is also available by logging in to your account online and entering your receipt number, so if you’re not a smartphone user, you can still take advantage of the program. Does your Walmart still allow price matching at the register? Let us know! Since Walmart is keeping mum on the number and locations of stores dropping the Ad Match program, we’re hoping to map the change based on your feedback. We have a super-quick Google form you can fill out (it’s anonymous!). You can also email us at [email protected], or chat about it in our Facebook comments.